FCC Chairman Ajit Pai today announced a six-item tentative agenda for the agency’s Feb. 22 meeting, including draft notices of proposed rulemaking proposing rules for spectrum above 95 gigahertz and procedures to implement section 7 of the Communications Act and a draft order addressing petitions for reconsideration of last year’s Mobility Fund Phase II order. Also on the tentative agenda are a draft order to eliminate call auditing and reporting associated with payphone call compensation, a draft order eliminating a requirement for certain broadcast licensees and cable TV operators to keep paper copies of FCC rules on hand, and a draft NPRM to decrease the frequency of equal employment opportunity reporting by broadcasters. He noted that in its spectrum frontiers proceeding, the FCC in 2016 (TR Daily, July 14, 2016) “sought public comment on new possible uses for spectrum above 95 GHz. American innovators responded with a wide array of suggestions, ranging from fixed wireless service to backhaul for 5G systems to Wi-Fi-like unlicensed applications to next-generation satellite services. The draft NPRM would propose to base the rules for making up to 15.2 GHz available for unlicensed use “on the existing rules for unlicensed use of the 57-71 GHz band,” the fact sheet notes. The draft item notes that several parties have filed petitions or waiver requests seeking access to spectrum above 95 GHz, including under section 7, and that the Commission has not acted on them. A companion draft order would address several petitions for rulemaking and waiver requests. Mike Marcus, a consultant and former FCC official who has long advocated for the FCC to use section 7 to free up high-band spectrum, told TRDaily today he was pleased with the draft section 7 and above-95 GHz NPRMs released today. He said of the section 7 item that he’s grateful that after the provision has been “ignored by both parties for over 30 years, that the Commission is finally acting on it.” He said that Congress could have written section 7 more clearly, and he said he hopes the Commission seeks improvements, such as permitting the agency additional time to act on very complex issues. He also said it’s not exactly clear under the law what the agency has to do within one year pursuant to the statute. Mr. Marcus also complained that petitions seeking access to spectrum above 95 GHz, including by IEEE-USA, have “gathered dust” without FCC action. Also on the tentative agenda, a draft second order on reconsideration in WC docket 10-90 and WT docket 10-208 would address remaining petitions for reconsideration of its 2017 Mobility Fund Phase II order, helping to clear the way for a planned reverse auction of more than $4 billion in support for high-speed wireless service in high-cost areas. The agency would still need to set auction rules. The Commission originally created the Mobility Fund in 2011 in a comprehensive Universal Service Fund/intercarrier compensation order (TR Daily, Oct. 27, 2011), but it has taken years to follow up with a promised Phase II. Former FCC Chairman Tom Wheeler had circulated a Mobility Fund II item for the agency’s Nov. 17, 2016 meeting, but it was taken off the agenda with most other scheduled items (TR Daily, Nov. 16, 2016). A year ago, the FCC unanimously adopted a Mobility Fund II report and order and further notice of proposed rulemaking to provide up to $4.53 billion in support over the next decade to extend 4G LTE service in areas where service can’t be sustained or extended without government support (TR Daily, Feb. 23, 2017). Last summer, the FCC addressed other petitions for reconsideration in the proceeding — among other things, it affirmed the agency’s previous decision to use 5 megabits per second as the download-speed benchmark for MF-II eligibility. 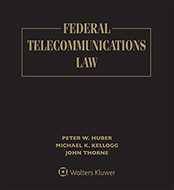 It also set parameters for the testing used to determine service speed and adopted in part an industry consensus proposal to undertake a new one-time data collection to determine current 4G LTE deployment, as opposed to relying on data regularly submitted by providers on FCC Form 477 (TR Daily, Aug. 3, 2017). In an order adopted at its meeting earlier this week, the FCC changed the requirement for the letter of credit that CAF recipients must maintain (TR Daily, Jan. 30), by “permitting Phase II auction recipients to reduce the value of their letter of credit to 60 percent of the total support already disbursed plus the amount of support that will be disbursed in the coming year once it has been verified that the Phase II auction recipient has met the 80 percent service milestone.” However, it declined to make further reductions in the value of the letter of credit. In addition, the draft MF-II order would “[d]eny requests to modify the MF-II budget and disbursement schedule; [d]eny requests to modify performance metrics, bidding credits, and the treatment of equipment exclusivity agreements”; and “[d]eny requested changes seeking to limit the Universal Service Administrative [Company’s] role in testing recipients’ compliance with MF-II performance metrics, public interest obligations, or other program requirements,” a fact sheet notes. Also on the tentative agenda is a draft report and order in WC dockets 17-141 and 16-132 and CC docket 96-128 that would eliminate all requirements for carriers to audit their tracking system for toll-free and “dial-around” access calls from payphones and associated reporting, which are aimed at ensuring pay phone providers are fairly compensated for all completed calls from their phones, as required by the 1996 Telecommunications Act. “As fewer and fewer people use payphones, compliance with these rules now costs carriers a large fraction of, if not more than, the total compensation the audits are meant to verify (you read that correctly). This Order would also eliminate interim and intermediate per-payphone compensation rules that no longer apply to any entity,” Chairman Pai said in his blog post. The tentative agenda also includes two items in Chairman Pai’s initiative to modernize media regulations. The first is a draft order in MB dockets 17-105 and 17-231 that would eliminate a requirement for certain broadcast licensees and cable TV operators to keep paper copies of FCC rules on hand. It would cover low power TV licensees, TV and FM translator licensees, TV and FM booster stations, cable television relay station (CARS) licensees, and certain cable operators. The FCC proposed the change in a September 2017 NPRM (TR Daily, Sept. 26, 2017). “The Commission received unanimous support for this proposal because it is now easy to access the Commission’s rules over the Internet,” the FCC noted in a fact sheet on the item released today. The second media regulation reform item is a draft NPRM that would eliminate the “mid-term” broadcaster reporting requirement on employment practices, which the agency uses to facilitate the employment practice review it is required by section 334(b) of the Communications Act to undertake around the middle of broadcasters’ eight-year license terms. “[A] number of parties have asked the Commission to consider eliminating the obligation to file Form 397 because it is unnecessary and unduly burdensome, and most of the information it contains is otherwise available to the Commission. The Notice of Proposed Rulemaking (Notice) proposes to eliminate this filing requirement to reduce unnecessary regulatory burdens, while maintaining the mid-term review,” according to a fact sheet.